Expect the unexpected and keep a sense of humour about you from April Fools' Day onward this month. Sensual pleasures and indulgences are the language of love while Venus waltzes her way through your sign until the 10th; by the time you early-born Tauruses start celebrating a new birthyear she will be on full two-timing mode in the flirtatious sign of Gemini--an influence which will stay with you all year! Especially fine days to woo your wonderful are the 11th and 22nd. 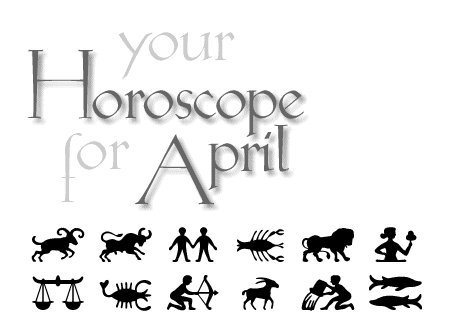 Taurus horoscope the month of April 2007. By Tofino astrologer Karedwyn Bird for Tofino Time Magazine.